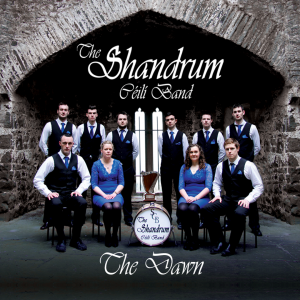 The Shandrum Céilí Band is proud to announce the eminent arrival of their debut album ‘The Dawn’. The eagerly awaited new CD takes its name from one of the reels which features on the album. 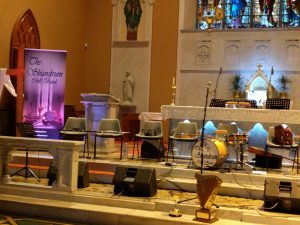 Between them they have nearly 200 years of experience in playing traditional Irish music and dozens of medals at all levels, in Fleadh, Scór, Siansa Gael Linn and others. Indeed, a little-known fact is that many of them are set dancers themselves, some even winning titles at All-Ireland level. They understand the dancers’ need for lively rhythmic music. The band has a dedicated following across the country and even the world. 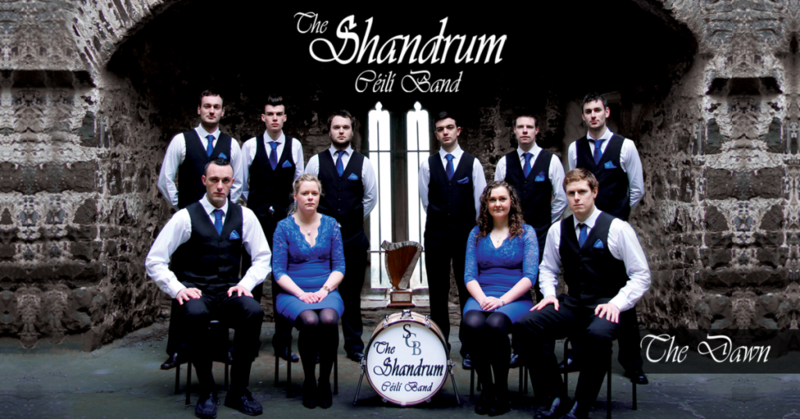 The Shandrum Céilí Band were in existence from the 1950s to the 1970s and, with their blessing, the current band was established in December 2014. They are based in North Cork but can regularly appear in almost any county playing for set dancers. 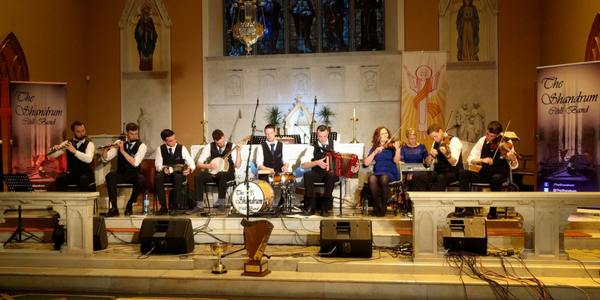 They entered the history books in 2015 for being one of the only bands ever to win an All-Ireland Senior Céilí Band title in their first year competing. They went on the following year to do it again making them the only band from Cork to win it twice. Their loyal fans have been asking for a CD on their Facebook Page and at céilithe for the past couple of years. People were asking us at céilís where they could buy our music. We had nothing to offer them. We also had requests on Social Media from the Irish Diaspora. Finally, we decided to answer the challenge and record the CD. Once we started it felt like exactly the right decision. 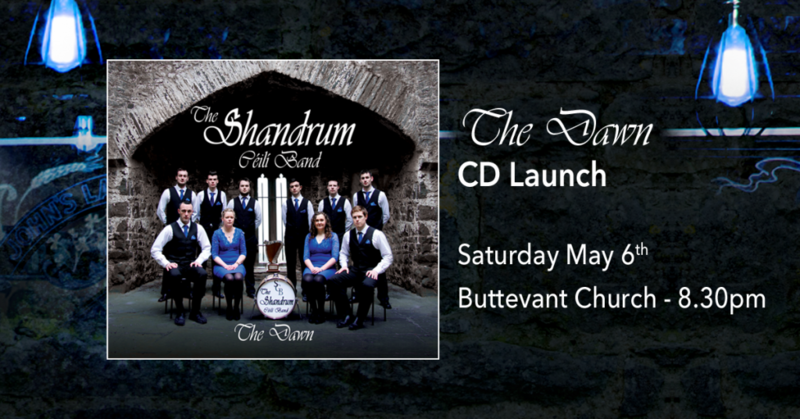 The CD will be officially launched in Buttevant Church on 6th May 2017 at 8.30pm, with family, friends and fans in attendance. This is a free event and open to everyone. 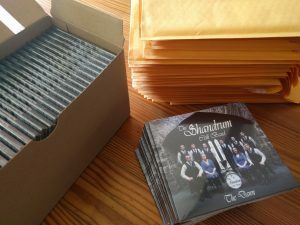 The CD will be available to buy on the night and from the band themselves at various events in the future. It’s now available to Pre-Order from their website and can be shipped anywhere in the world. On this new CD the ten-piece band reprises some of their winning arrangements; it’s quite simply traditional Irish music at its very best. From toe-tapping jigs and reels to tuneful waltzes, this album is unmissable.